Our new release has been delivered one week back. This is already our last release for 2016 – time is running fast. 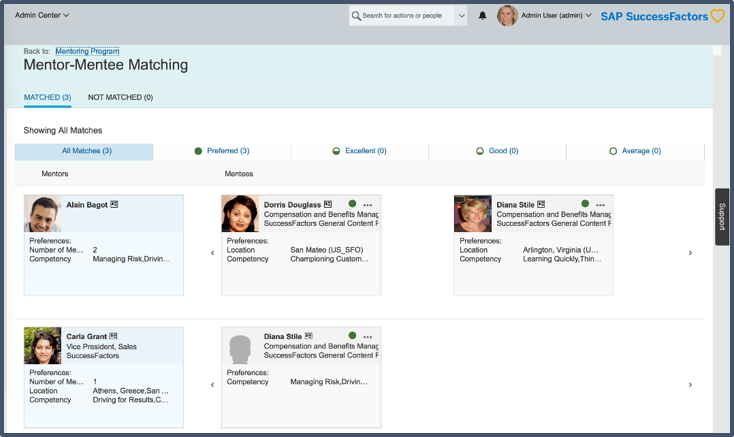 Besides all of our user experience updates, my favorites are the new release center as well as the mentoring as part of SAP SuccessFactors Succession and Development. 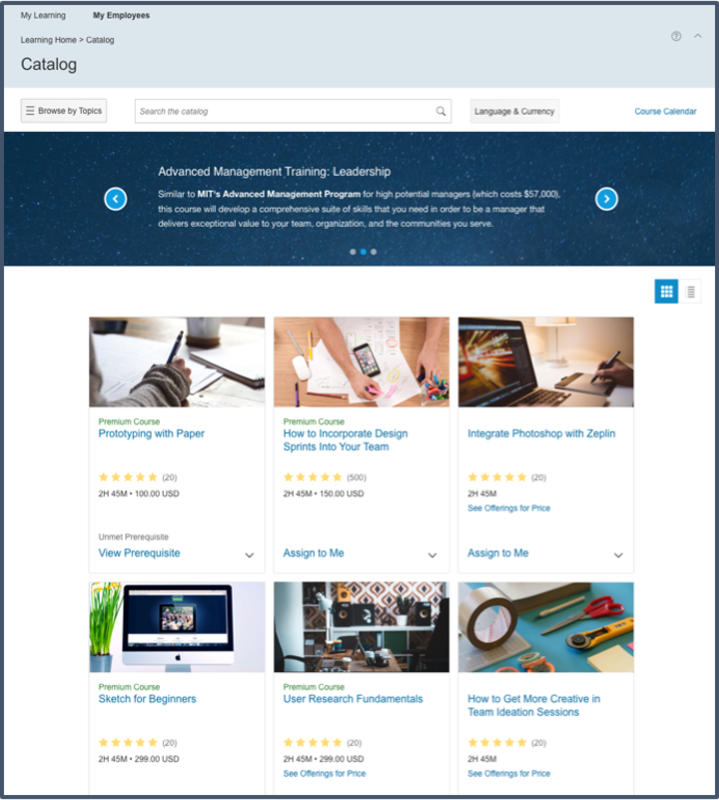 Let’s start with our user experience updates: As I wrote in my last blog, we are not resting on our laurels and continuing to refresh user interfaces across the SAP SuccessFactors HCM Suite in order to maximize consistency, learnability, usability, and aesthetic perspective. After delivering a completely refreshed ‘people profile’ in Q2 2016 and overhauling more than 100+ pages across the suite in Q3 2016, we continue with many more updates in this release. All updated screens share the same fresh modern look & feel – see screenshot of our potential matrix. For our mobile apps we also delivered some great features and enhancements such as redesigned continuous performance management, fingerprint authentication (Android) – just to mention some of them. 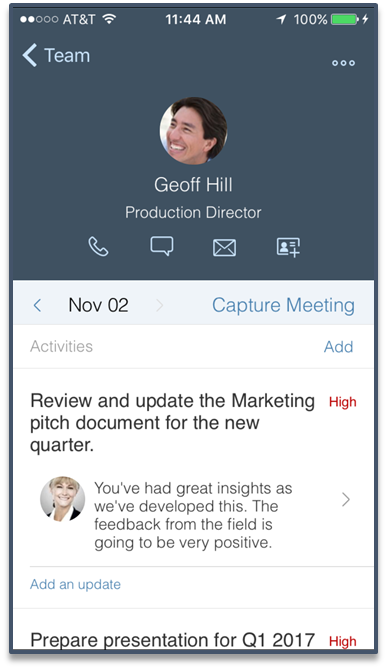 Read this blog by Babak Ghoreyshi to learn more about our user experience and mobile updates in Q4 2016. Are you an HR administrator and would like to get an overview of new features as well as of universal capabilities? Our new release center provides exactly this kind of information for you. Also, the release center provides the quarterly release information tailored to your own instance. Check out all the details about the release center in this blog by “Time to speed up your quarterly release view with the Release Center” Lucinda Huang. 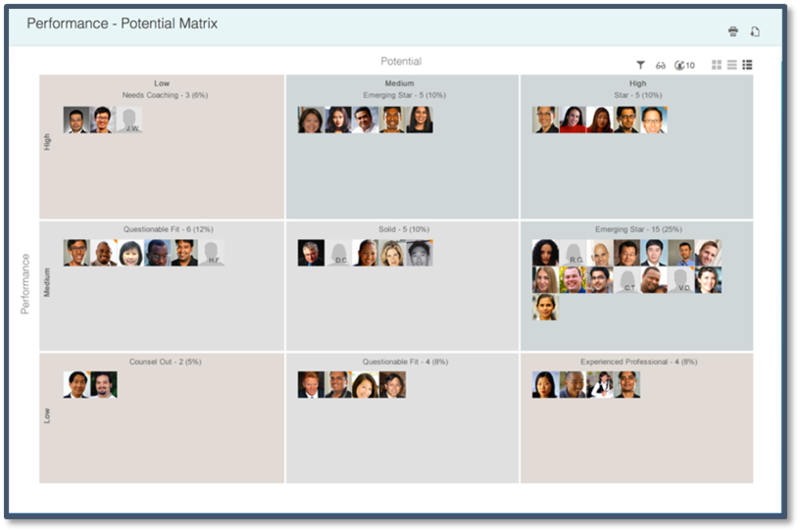 What is in for SAP SuccessFactors Employee Central? In our core HR solution we enhanced our integration to SAP Fieldglass. You now can easily initiate a request for a contingent worker from EC position management. And, as in all our releases, we delivered two new country versions (Egypt and Oman) for our Employee Central Payroll Solution. All our Employee Central features and enhancements can be found in this blog “What you can expect from the Employee Central Core HR and Payroll Q4 2016 release” by Pattie Fletcher. Check out this blog by Volker Ruof to learn about our latest Employee Central Time Management features. Let’s jump to our Talent Management solutions. When I joined SAP years back, I was mentored by a senior colleague. At this time the administrative work was very time consuming and we lost a lot of time for other activities. With our new mentoring as part of Succession and Development, mentoring programs can easily be set up. And, on an overview page the tandem can access all information (e.g. description of the program, invitations and more) they need. Margit Bauer’s detailed blog gives you a great overview on mentoring. 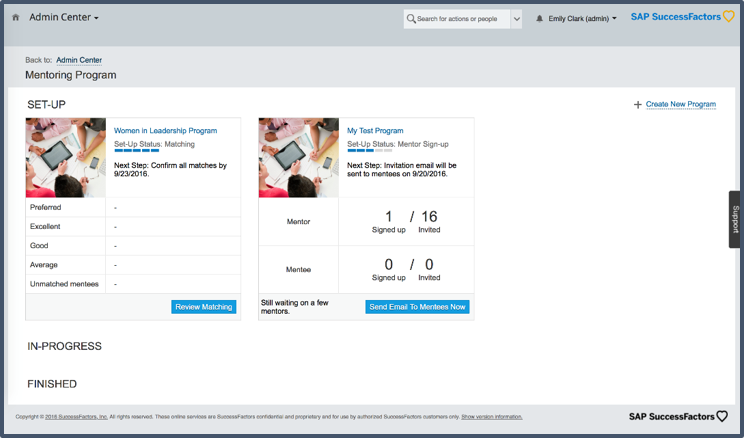 Some more highlights in Talent Management are the career site builder in SAP SuccessFactors Recruiting, which is now general available. Check out more details on here. Another highlight is the redesigned learning catalog. Learners can enjoy a more simple and intuitive user experience. They can find sections for featured courses and highly rated courses and more great information. Emily Wilson just published a blog about the redesigned learning catalog. Check back to this blog as I will add more information from time to time. And, more information on this release can be found on the product update pages in our SAP SuccessFactors customer community (registration required). With our new SAP SuccessFactors App Center, you can now easily access over 100 partner software applications. You can find two article on sap.com “SAP SuccessFactors App Center Launched” and read about our one-stop shop for partner apps on news.sap.com. Are you looking for leading HR practices and want to benefit from SAP® SuccessFactors®’ software innovations? Check out the process library for SAP SuccessFactors solutions. More information can be found in the SAP SuccessFactors customer community (registration required). Read this blog “Accelerate the adoption of SuccessFactors with SAP’s leading practices and process models” by Marijn van Amelsfort to learn more. 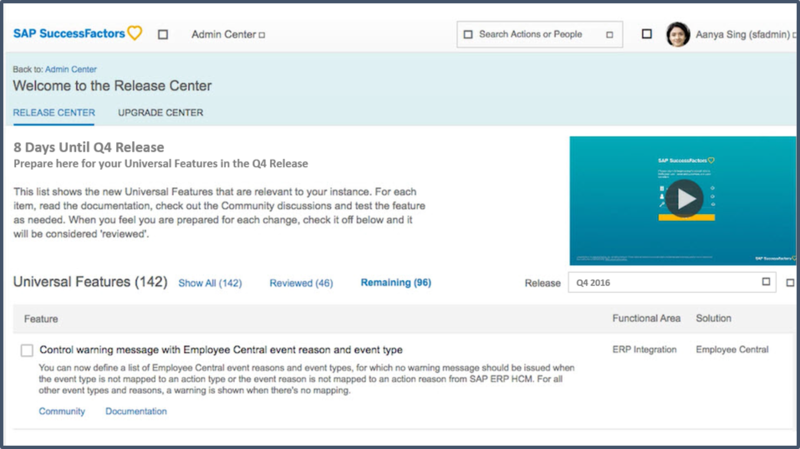 Find the release delivery dates in the SAP SuccessFactors customer community (registration required). In his blog “Updates to the SAP SuccessFactors release cycle for 2017” Adam Kovalevsky explains the changes in our release cycle. Our next release is planned for Q1 2017. We’ll send you a summary of release highlights shortly beforehand. However, you can review a detailed release summary, which is published in our customer community, four weeks prior to the release. Good overview and links on the new features. Thanks.